ADDED professionalism and a different uniform are the only changes patrons of the Gladstone Aquatic Centre should expect from next month. 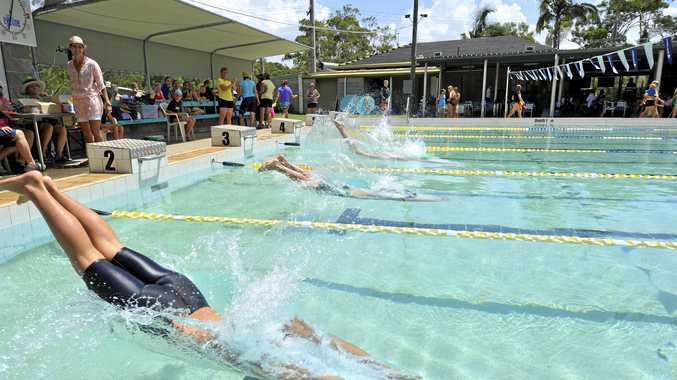 Two pool centres owned by Gladstone Regional Council, the Gladstone Aquatic Centre and Mount Larcom Pool, will have a change of management effective on September 1. GRC approved BlueFit Pty Ltd as its preferred facility management operator for both pools on a five-year lease term with an additional five-year renewal option. BlueFit is a leisure facility management company established in Sydney in 2007 that recently merged with Lane 4 Aquatics, the council's current pool operator. Lane 4 Aquatics co-manager Kalam Shaw said the merger between BlueFit and Lane 4 Aquatics was an amicable one. "It's business as usual and essentially nothing has changed except eventually the branding," he said. "Both owners have asked each other for advice across the years and both are quite friendly with each other and have been in the industry for numerous years. "It was seen as a good idea to venture in together and get more quality in what they're trying to do across the east coast." Mr Shaw said no Lane 4 employees would be impacted by the merger and that pool fees and opening times are set by the council.